British label Corgi collaborates with CASH CA to create these very high quality socks. 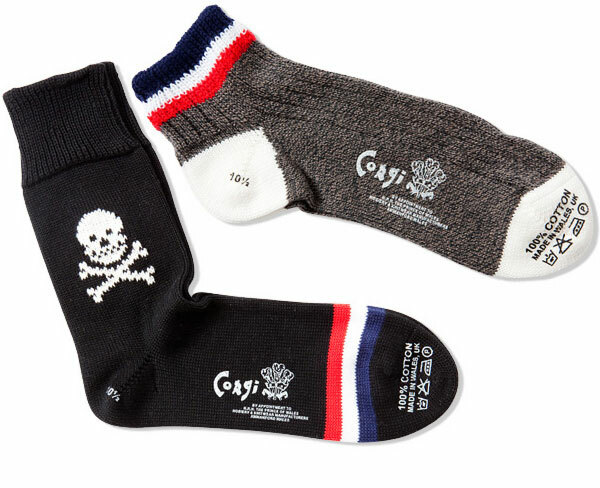 Part of their Spring/Summer 2011 Collection, both short socks and Skull Socks feature “Kagari toes”, which bypasses machine finishing in the final stage of production. Both sets of socks are made in England and are available in three colorways, with tricolor accents. « What’s More Important than Bike Culture?